During my summer 2009 road trip across the country, I remember being absolutely in awe at the sheer amount of sky that existed in Bozeman, Montana. It’s the same amount as what exists back east, obviously, but everywhere I’ve ever lived has had trees at least on the sidelines, so they limit the amount of sky you can see. That’s not the case where I am now in southeastern South Dakota. Sure, there are definitely some trees around, particularly within the city of Sioux Falls, but when you drive outside the city and find yourself in the middle of cornfields that stretch farther than the eye can see, the wide expanse of sky really starts to fill your field of vision. On gorgeous days like yesterday, it can be really mind-boggling. Yesterday started with breakfast at the All Day Café with Krista Orsack and Betsy McCarty of the Sioux Falls Convention and Visitors Bureau, and they really did a great job working with Wanda Goodman of the state department of tourism to host my stay and get me lots of great information and connections with informative people at the parks I planned to visit. Seriously, it’s thanks to their wonderful hospitality that I’m able to take trips like this, and it makes it very easy for my boss to say yes to let me go! The original plan after breakfast was for me to head straight to Falls Park, but I also wanted to check out the main Outdoor Campus, a nature education center run by the state department of game, fish and parks, fully funded by the sales of hunting and fishing licenses across the state and located within the city’s 100-acre Sertoma Park. It was just a few minutes from the café (which had super tasty breakfast, by the way), so Betsy joined me for a quick trip over there. I’m going to the Outdoor Campus West in Rapid City tomorrow and had thought that was the location I had visited with my dog five years ago, but when I got to the location here in Sioux Falls, I realized this was the one I had already been to. However, since I had Paxton with me back then, I didn’t get to go inside the building, so I’m definitely glad I got to go back! Director Thea Ryan met with us for a few minutes, and I’m so glad I made that connection — she’s also a travel writer and runs Road Trips for Readers, a really intriguing site I’m going to have to explore further. We talked briefly about the different programs that the center offers (“for ages pre-K to gray,” Thea said), and there’s something going on almost every day. During the summer, it’s not uncommon to have 13 different programs going in a single day, she said. Holy smokes! They have five full-time staff members, including a Sioux Falls School District teacher who does curriculum-focused programs, plus about 10 interns per summer/semester and approximately 150 active volunteers. The center itself is really interesting, with a giant fish sculture people can walk through and some neat wildlife displays, and the outdoor parts include a tallgrass prairie, a flower garden and a walking path around a lovely pond. I’m very glad I made the time to stop in there today. 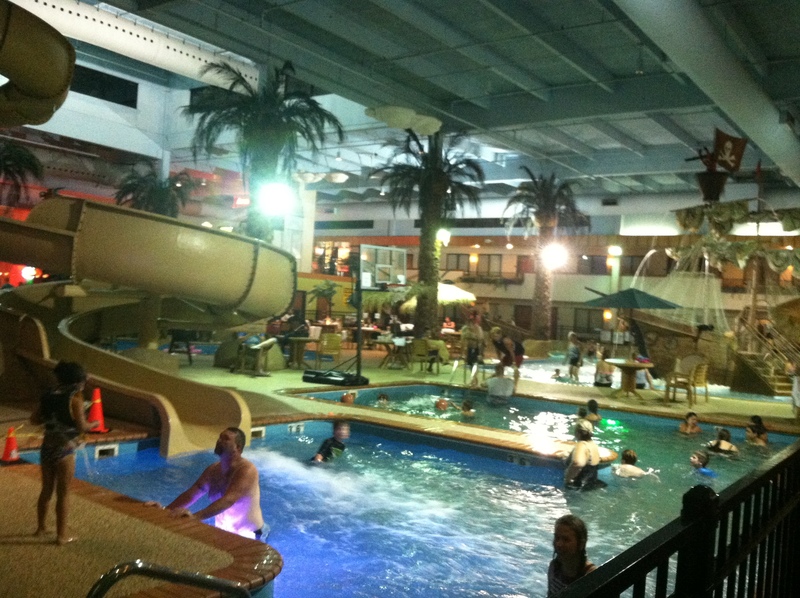 Sertoma Park also has the Sertoma Butterfly House, which includes both a large butterfly room and a marine cove. Both are amazing for kids as well as anyone of any age who still has a solid sense of wonder. I stopped into the marine area first, and it includes several touch tanks with sea urchins, sharks, stingrays and more, as well as large saltwater aquariums featuring live coral (including a coral nursery!) as well as moray eels, seahorses, anemones, starfish and tons of tropical fish. The butterfly portion is a large, humid, 80-degree room filled with lots of colorful flowers and plants as well as 800 to 1,000 butterflies. As you walk through, they settle onto your clothes and skin before flitting away again, and everyone in there was absolutely enthralled with the experience. 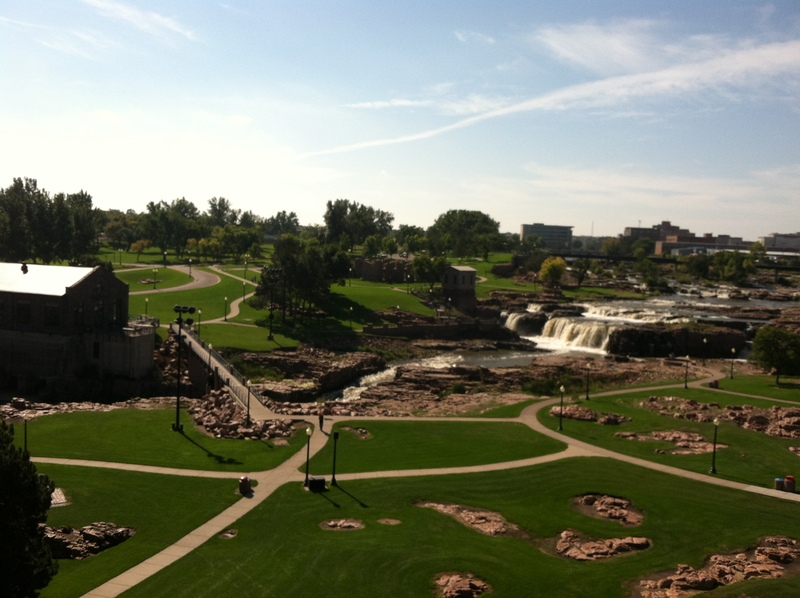 The city of Sioux Falls essentially grew up around these falls, which are now the central feature of Falls Park in downtown Sioux Falls. 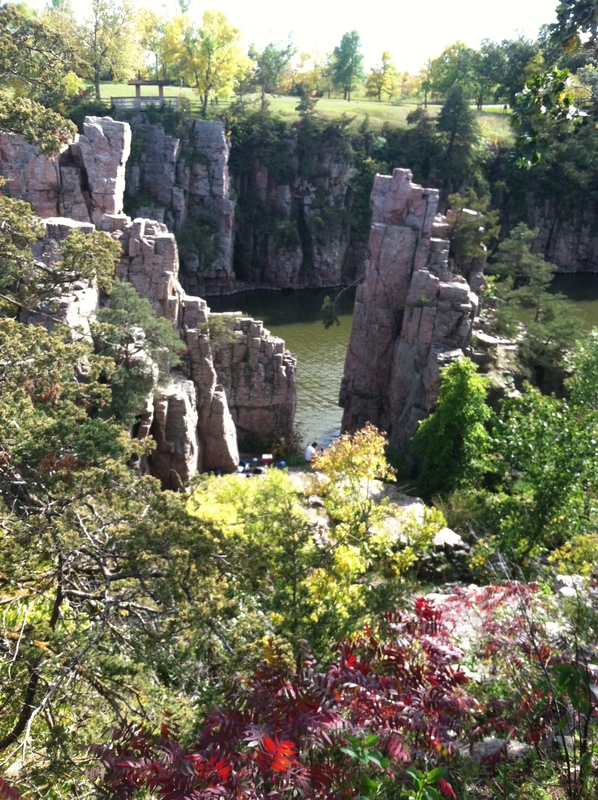 I said goodbye to Betsy at that point and headed to Falls Park, another Sioux Falls attraction I had been to with the dog five years ago. However, again we just explored the exterior parts back then, so today I got to go up in the observation tower, which offered gorgeous views of the park and the falls. The city park department did a really great job designing and maintaining this urban park — it has manicured lawns between the pink Sioux quartzite outcroppings, which makes for a neat juxtaposition of nature and urban in one spot. Wanda with the state tourism department recommended that I visit Linda Boyd of the Prairie Star Gallery, so I stopped by there after Falls Park. Linda was instrumental in getting Good Earth State Park at Blood Run its state park status, which just happened in the past year after about 40 years of work toward this goal. 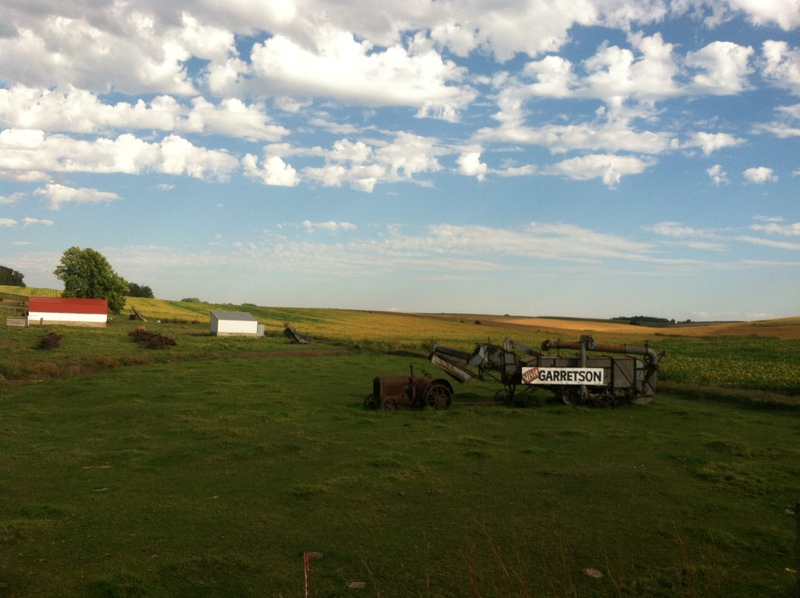 The site was a major center for native American trade hundreds of years ago, and it spans both the South Dakota side as well as the Iowa side on the other side of the river. We talked about the park for awhile, and then I wandered around her store and blew my entire souvenir budget there :). Got some sage and sweetgrass, some native tea, two books and a gift for my neighbor. I regret nothing! I’d love to come back someday to climb here. After a quick bite at Chedd’s, I headed on to Palisades State Park, a small but totally fascinating attraction. Even though it was an absolutely beautiful day, I felt like I had the park to myself for most of my time there. The pink Sioux quartzite spires made me itchy for my climbing gear, and I texted one of my search and rescue friends who grew up in South Dakota about it. He affirmed that it’s a great place he’s been to many times for the sport. I saw a few climbers who had ropes and gear set up at the base of one spire, but they were taking a break from climbing and drinking some beers, strumming a guitar or two and inventing some new lyrics to Woody Guthrie and John Denver songs :). Good times! The rock walls on either side of Split Rock Creek reminded me of Great Falls on the Potomac River near my home in Virginia, but with nowhere near as many people. Naturalist Verna Boyd is a gem :). River that serves as the border between South Dakota and Iowa. I’m looking forward to learning more of the history of the site — I think she said it was at one time the largest native settlement in North America, but I may not be remembering that correctly. 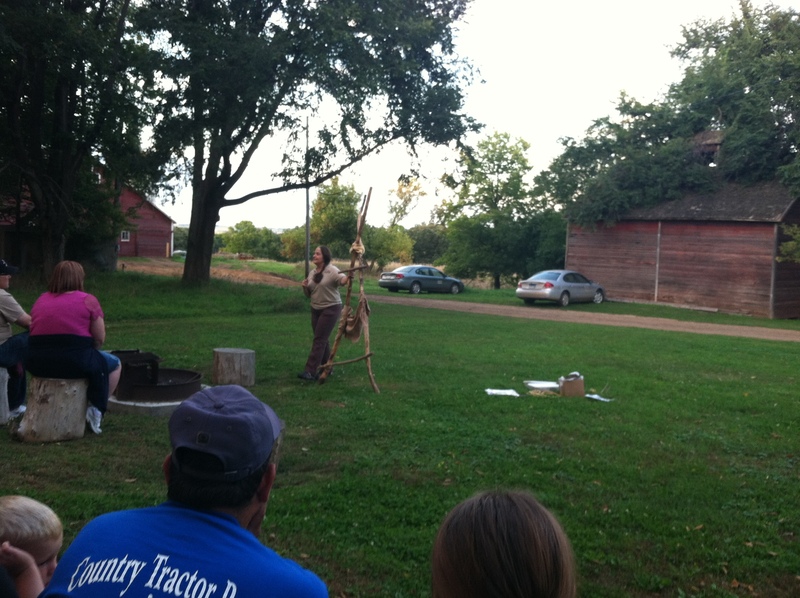 You can absolutely feel the history as you walk the grounds, and the evening’s park program she held definitely helped solidify that connection with the site. An Omaha Native American herself, she offered personal insight on the significance of the area and how critical it was to the development of native communities and trade hundreds of years ago. At one point, she passed around a piece of obsidian that was found there during an archaeological dig, and a geologist tested it and confirmed that it was from Wyoming, which shows the wide area people traveled from to trade here at Good Earth. Definitely an interesting place to visit if you’re ever in the area, but be sure to pack bug spray — the mosquitoes were making quite a snack of me! I’m late getting on the road today, but I’m headed north to Sica Hollow State Park in Sisseton, Fort Sisseton State Park in Lake City, and Wylie Park and Storyland in Aberdeen. Here’s hoping today is as rich as yesterday was!